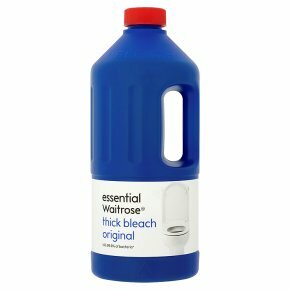 Essential Waitrose thick bleach original clings to surfaces to remove stains, prevent limescale and kill germs, including Salmonella, E.coli and Listeria. It's pleasant fragrance works to combat odours and keep surfaces fresh and clean. Safe for use by households with septic tanks.